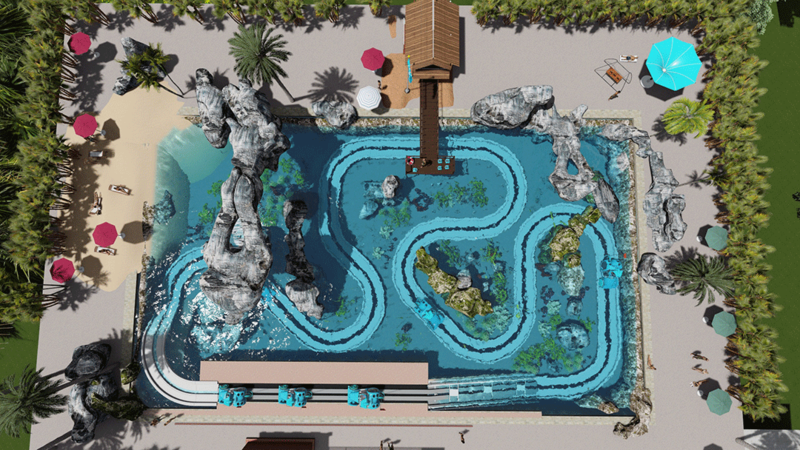 Could The Aquaticar Be The Future of Water Parks? 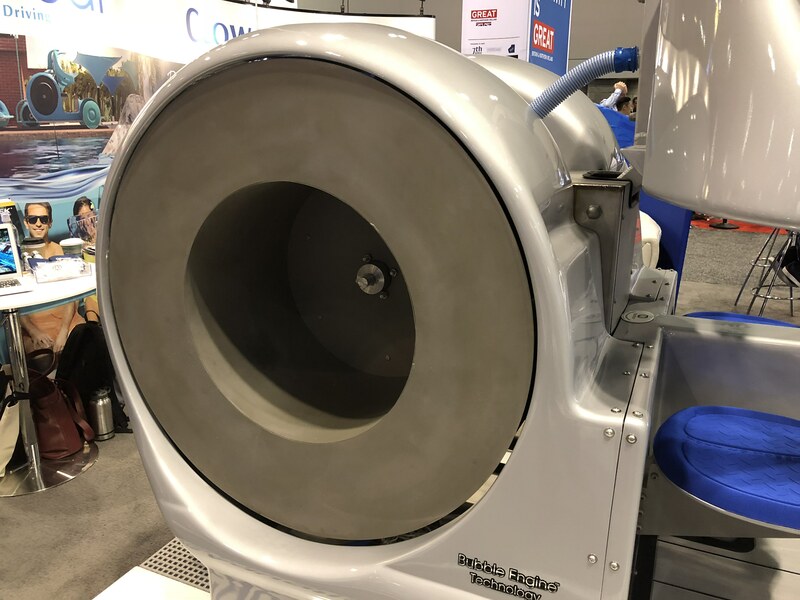 Recently I got a chance to preview some new water park technology that could change the way water park patrons experience underwater exhibits. 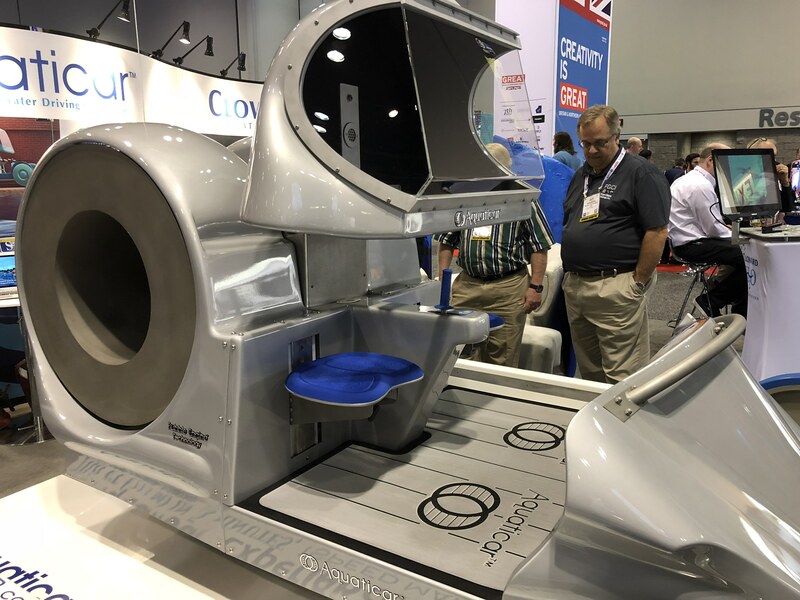 This prototype Aquaticar concept was showcased at the 2017 International Association of Amusement Parks and Attractions in Orlando and was one of the biggest buzzes on the trade show floor. First, let’s talk about how it works. This two-seater car is literally powered by bubbles. Sensors along an underwater track trigger air to be released under the vehicle that float up into a “bubble engine”. That engine contains a special rotor that propels the vehicle. It can produce 63 pounds of thrust and travels at roughly two miles per hour. You can actually drive the Aquaticar as well! 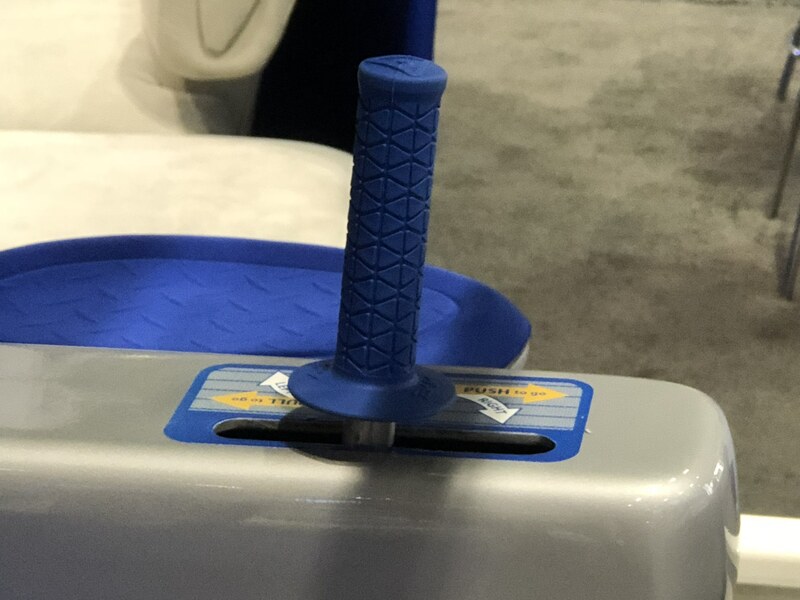 A center joystick allows riders to move the car to the left and right within the pre-defined track. The seats are adjustable to accommodate smaller and larger riders before it plunges down into the water. In case of emergency, a radio will be available inside the cabin to allow for riders to contact someone at the loading dock. 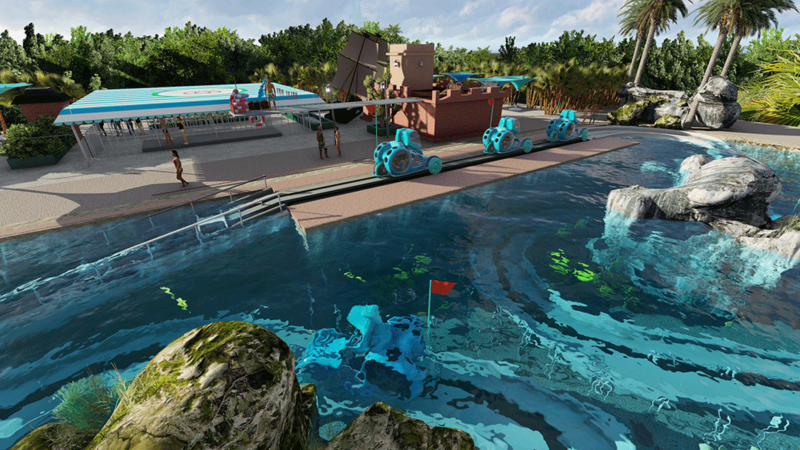 While the Aquaticar may not have the highest capacity thanks to its slow-moving nature and 2-person vehicle, it can be combined with other attractions inside an existing tropical environment. For example, you can have underwater viewing as well as snorkelers within the same tank as these vehicles. Could this be added to a water park near you some day? We shall find out! Looking forward to the Aquaticar opening in the near future! 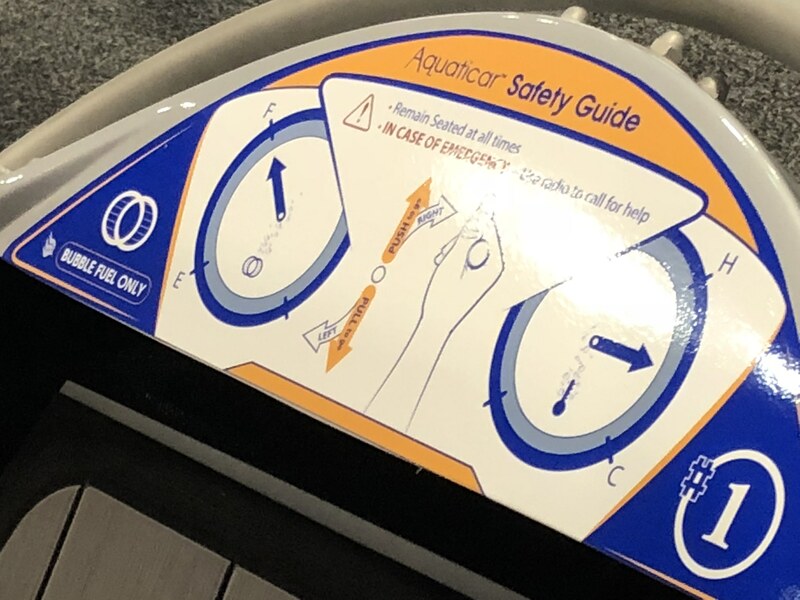 This entry was posted in Theme Parks 101 and tagged Aquaticar, Water park. Bookmark the permalink. Trackbacks are closed, but you can post a comment.